CHALLENGE: Can you log a marathon in 6 weeks? 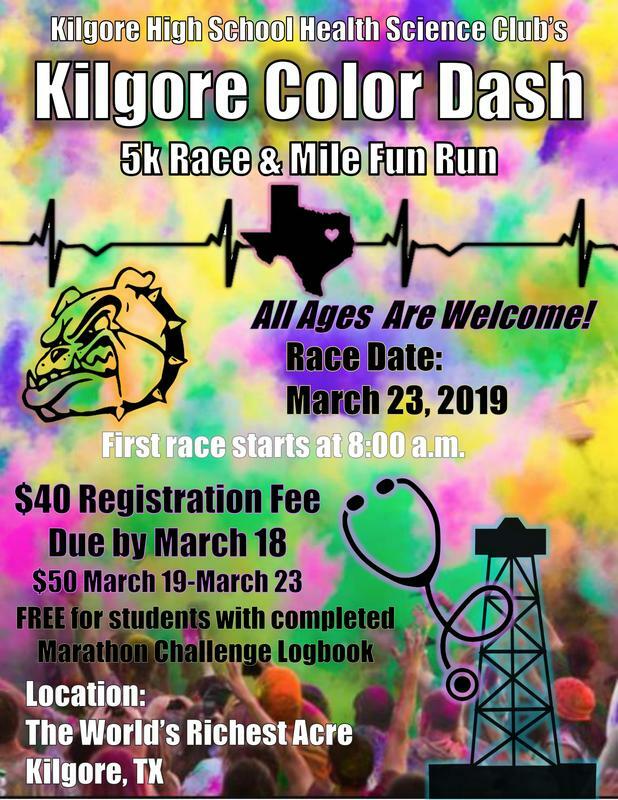 The KHS Health Science Club is challenging all KISD students to run/walk a marathon (26.2 miles) over the next 6 weeks. We are hoping not only will you get more active, but encourage your family to walk or run with you! We will celebrate all who complete the marathon on March 23 in conjunction with a 5K and 1 mile fun run Color Dash. Logbooks are available in Coach Kirkpatrick's room and are due March 18. All who complete the book will get a free entry into the Color Dash. Without the logbook you can still register for the 5K by paying the $40 registration fee. See Coach Kirkpatrick to ask any questions.